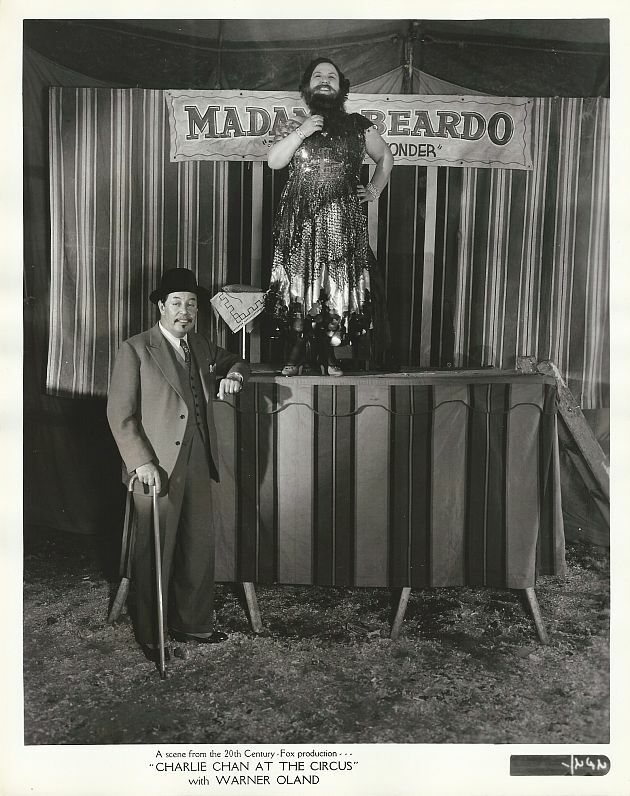 Charlie Chan poses in front of Madame Beardo's stage at the Kinney and Gaines Circus. 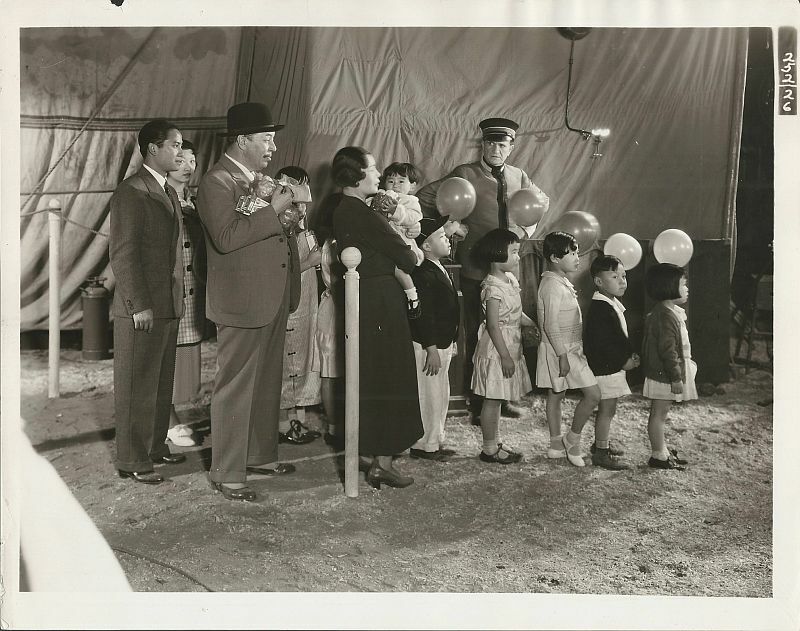 Lady Tiny and Colonel Tim perform in front of a audience that includes members of the Chan family. 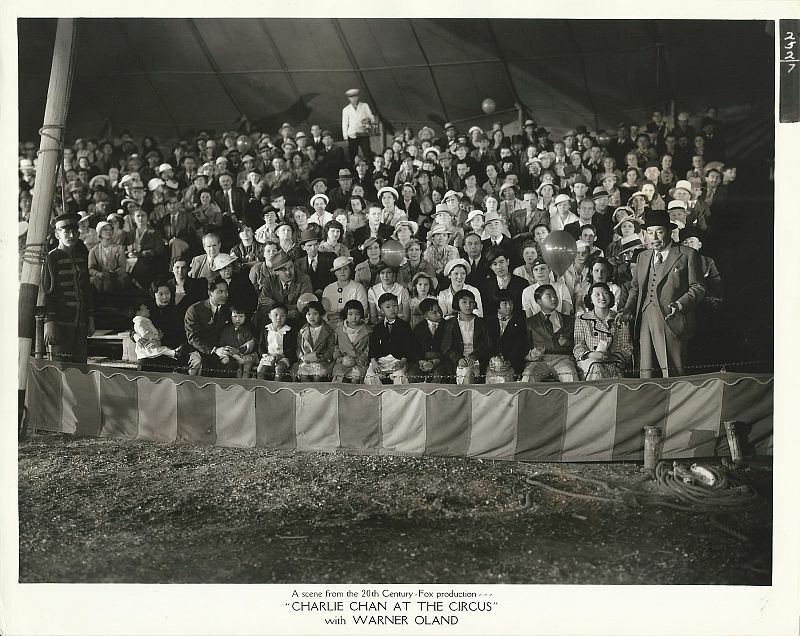 Charlie Chan with his family at the Kinney and Gaines Circus. 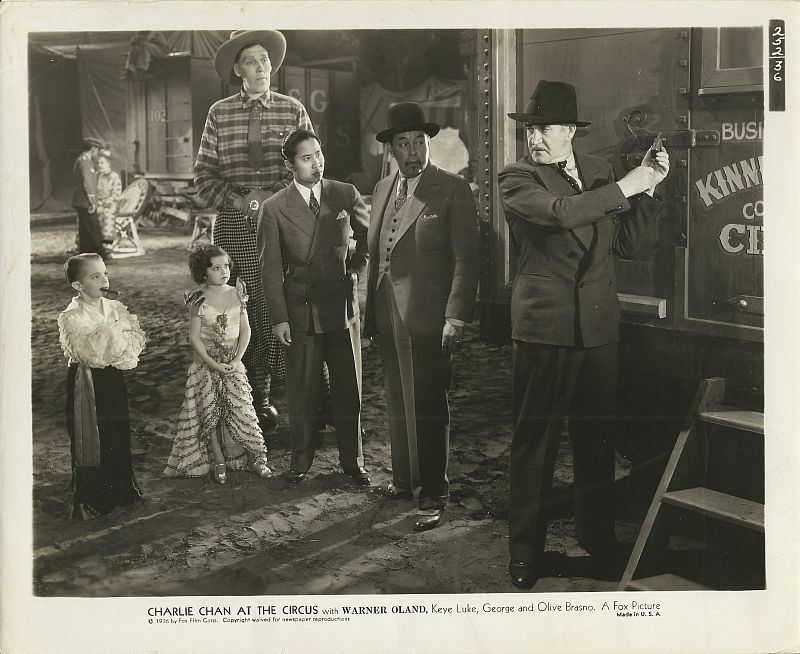 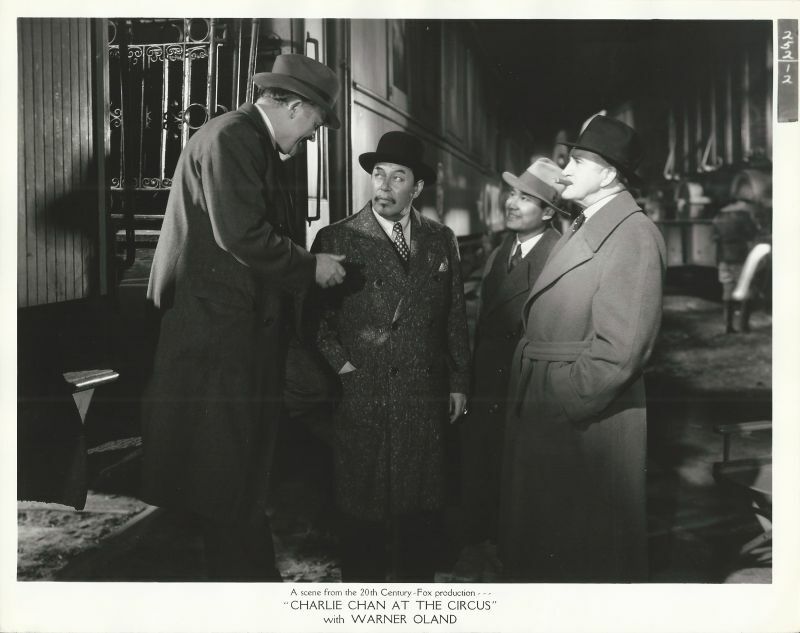 Charlie Chan and number One Son, Lee, meet Mr. Kinney and Mr. Gaines, co-owners of the circus. 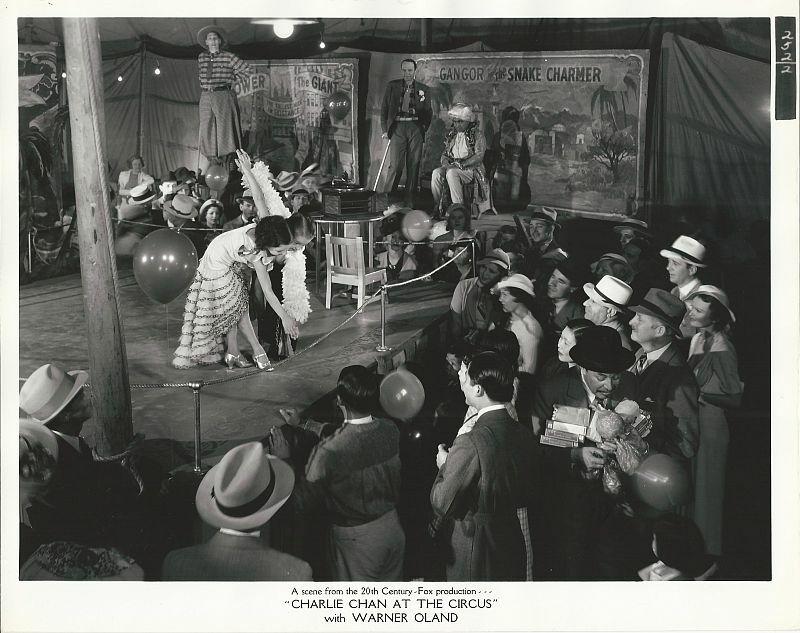 Charlie Chan watches Marie Norman perform her daring trapeze act. 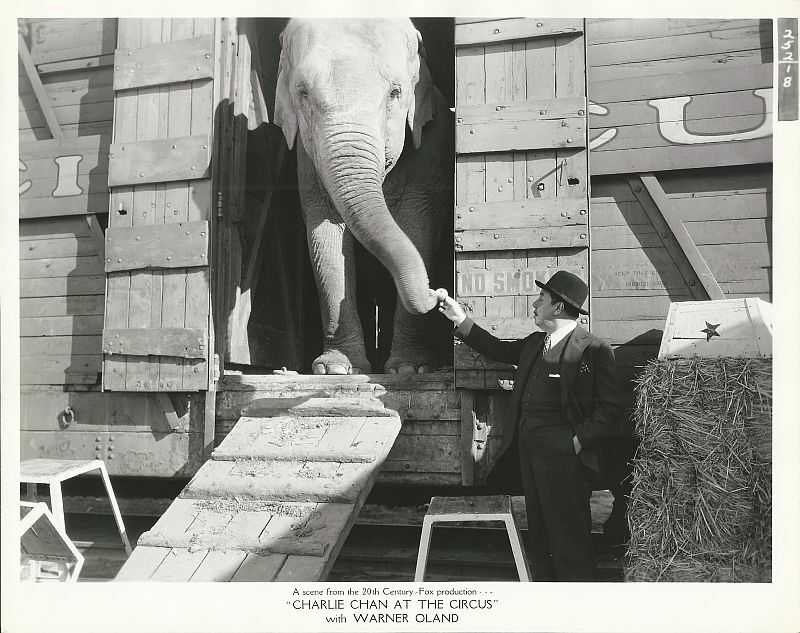 Charlie Chan poses with Jumbo at the circus train. 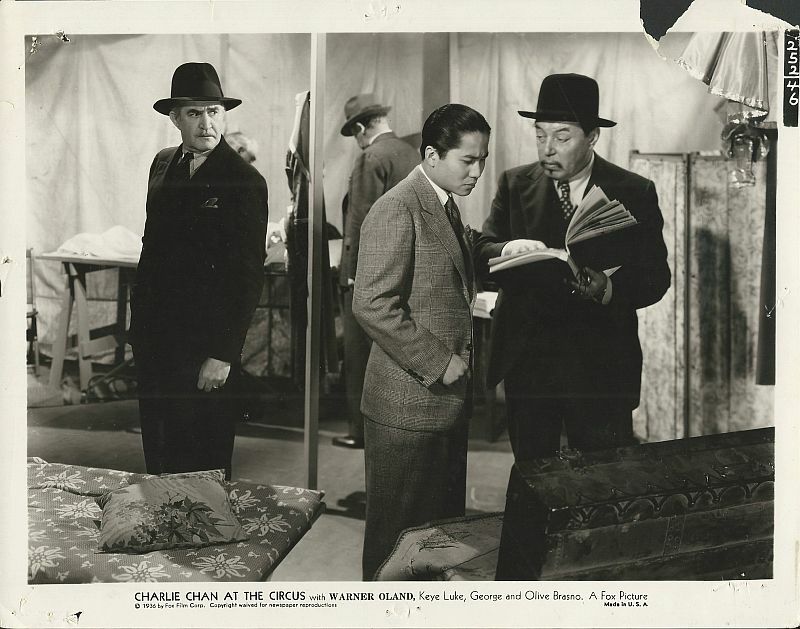 Lt. Macy reads through important documents with Charlie Chan as Lee and John Gaines look on. 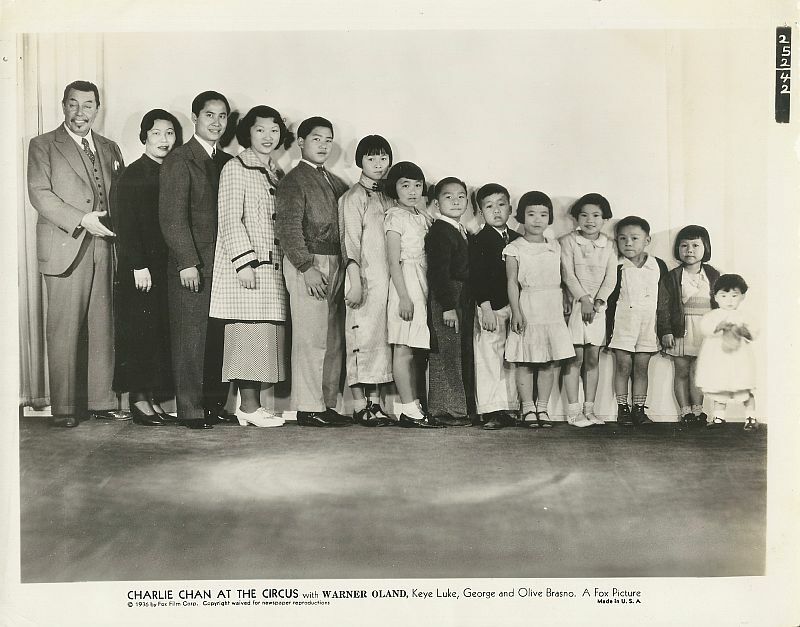 The Chan family interacts with Tower the Giant. 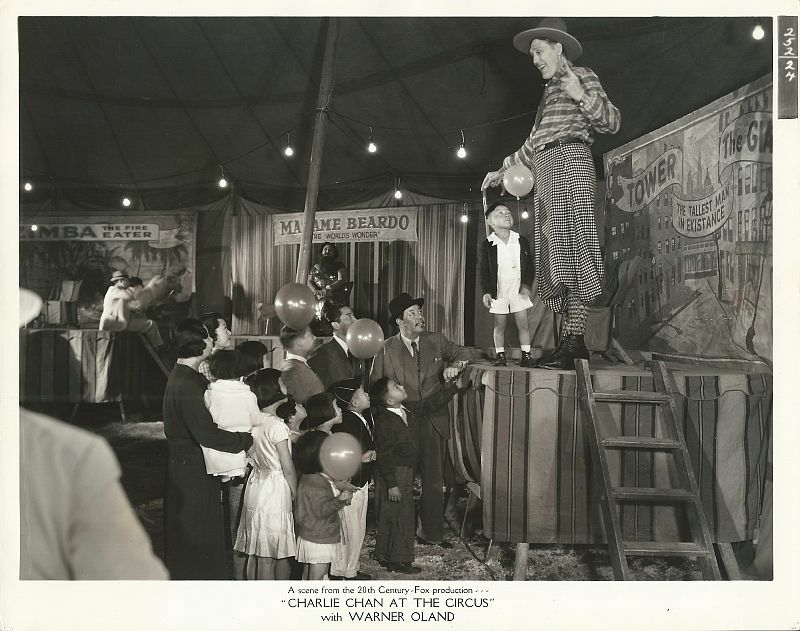 The Chan family enters the Kinney and Gaines Circus. 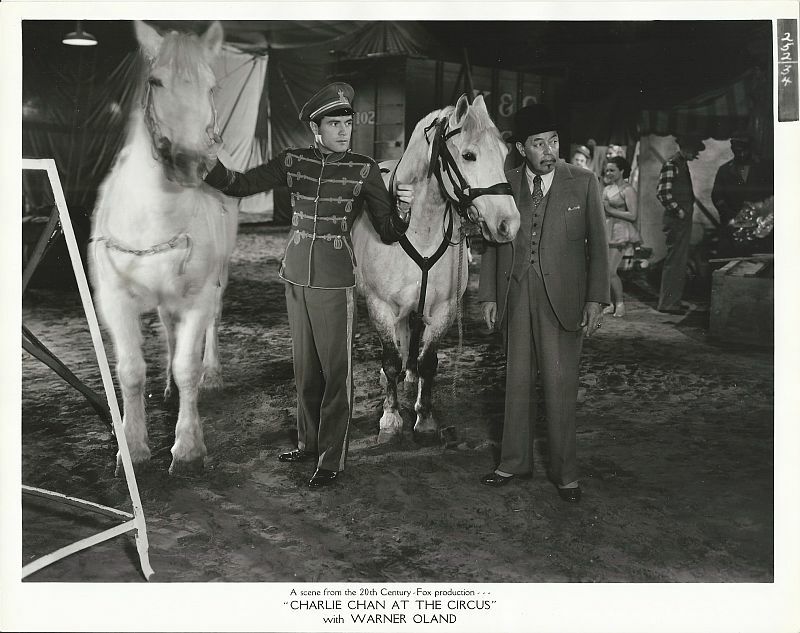 Charlie Chan with animal trainer Hal Blake. 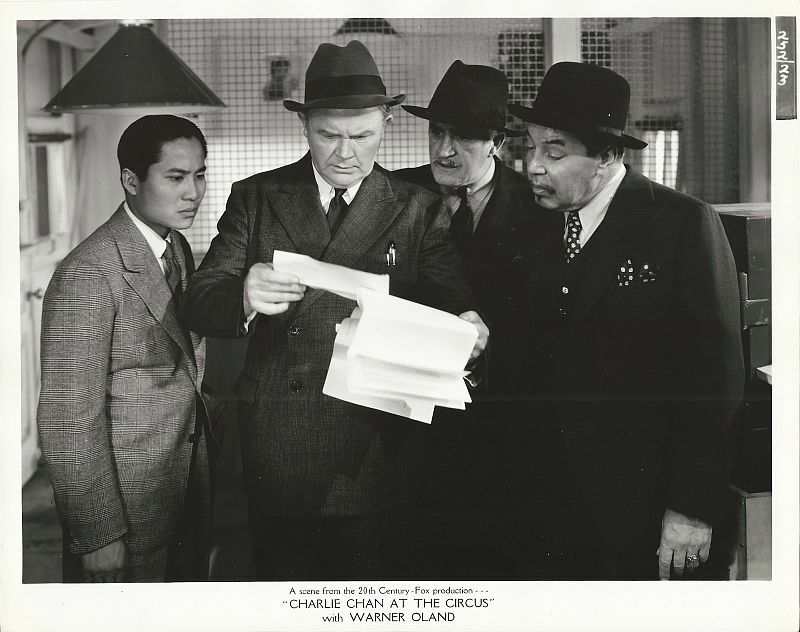 allowing Charlie Chan to search for clues. 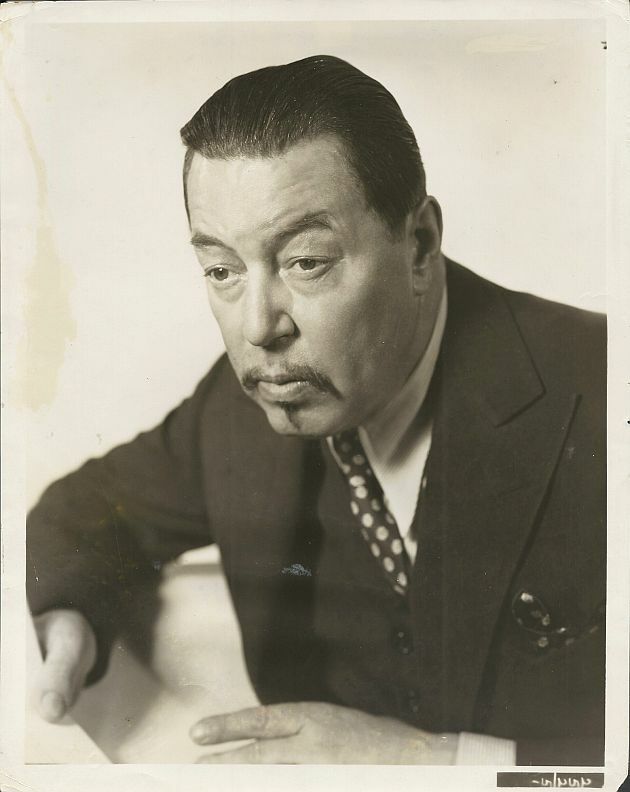 in search of useful information. 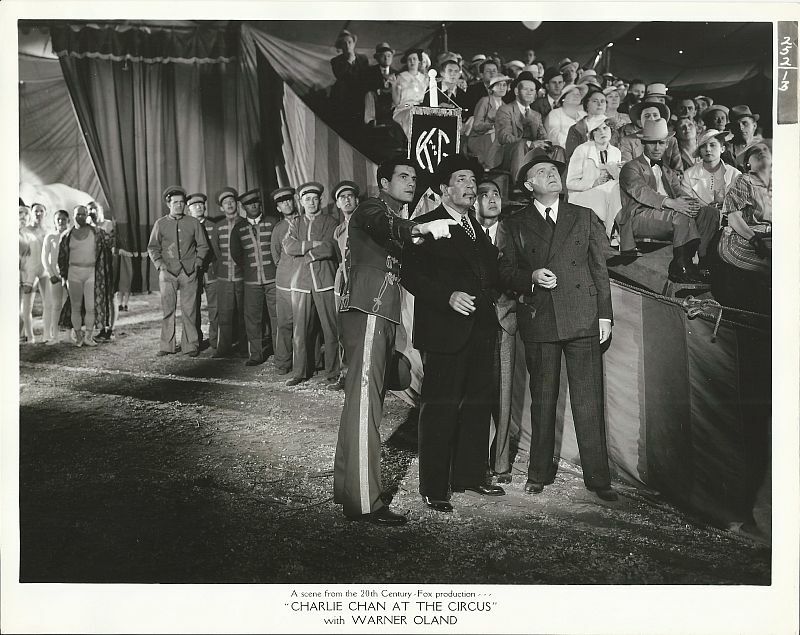 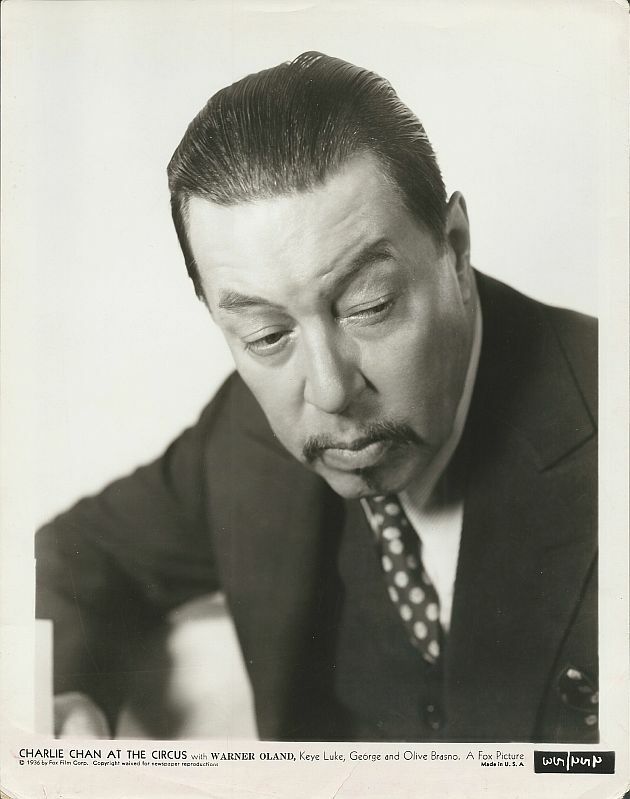 Charlie Chan at the circus. 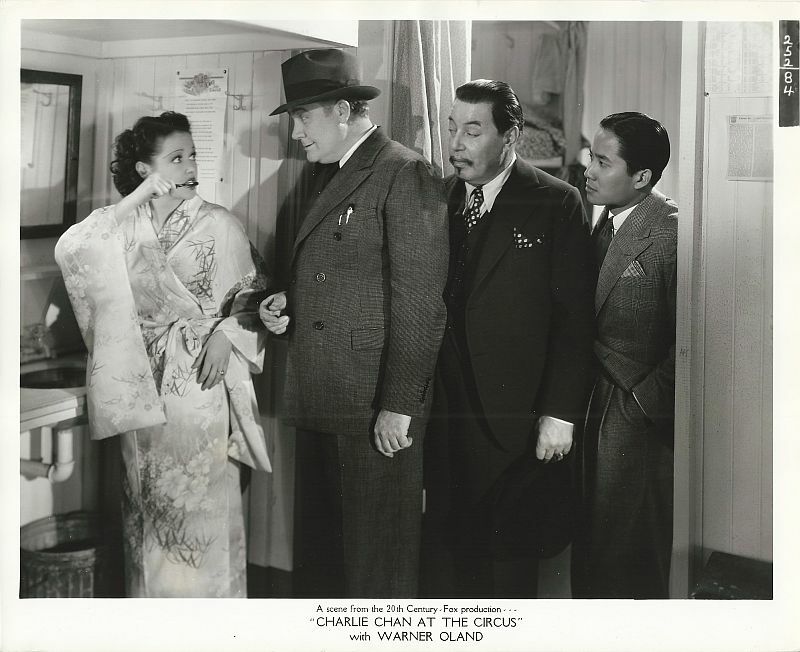 Lt. Macy questions Louise Norman.